Casey is a Senior Manager at Accenture in its Payment Strategy and Innovation practice. She has over 13 years of experience in financial services consulting focusing on traditional and emerging payment strategies for leading financial institutions, payment processors, card network providers, and financial technology companies. Over the last several years, Casey has also executed several engagements focused on issuer fraud operations strategy assessments and improvement projects. Her other project experience is in areas as diverse as strategy development, operational assessments, implementation and conversion, vendor negotiations, and research initiatives. 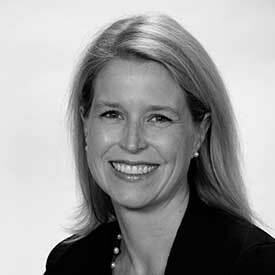 Casey joined Accenture in March 2017 through its acquisition of First Annapolis Consulting. She holds an M.B.A from the University of Virginia’s Darden Graduate School of Business and a B.S. from the University of Virginia’s McIntire School of Commerce.